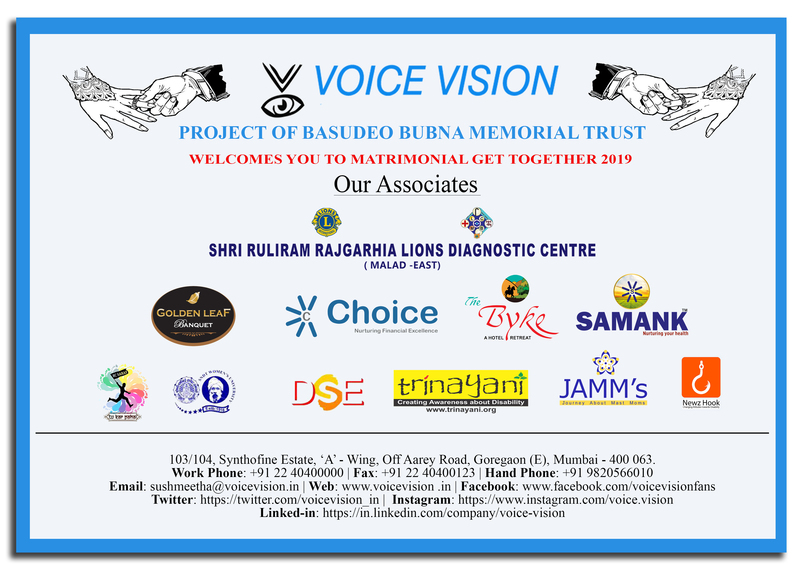 On 4th & 5th December 2018 Voice Vision, Mumbai organized a unique workshop “Looking Ahead Training at Big Bazaar”. Voice Vision along with Big Bazaar and NAB Delhi organized this unique workshop for the visually impaired on the occasion of World Disability Day in Mumbai at Thane West. Under the initiative named Looking Ahead, which also provides accessible shopping experience to the disabled, these workshops were organized in selected 13 Big Bazaar stores simultaneously across 7 cities in the country. While you may take the experience to shopping to be exciting, this is not same for person with visual impairment. They can’t glance over the counter and pickup something that attracts the eyes. Neither can they just stroll in a shopping center or mall and take in all the beautifully displayed windows, but this was made possible even for persons with visual impairment by Big Bazaar’s initiative named Looking Ahead on World Disability Day. The first was titled “Eye for Fashion”. Participants got to touch, feel, learn and admire different styles and types of attire such as palazzo, short or long kurta, multi layered dress or frock style kurta etc. They Learnt about various types of festive pants, studded denim, ripped off denim, or low waist skinny fit denim enhanced their understanding of elements of fashion.They got to learn the difference between casual, formal, party wear, etc. The experience of touching and understanding different types of ear rings, neck piece, bracelets and footwears was well appreciated. Various electronic kitchen appliances were demonstrated. Each participant got an opportunity to touch, feel and get oriented to appliances like rice cooker, multipurpose kettle, induction cooktop with appropriate utensil, sandwich maker and most appreciated product chopper. Big Bazaar created an independent, dignified, inclusive, sensitized atmosphere enabling visually impaired to shop alone.